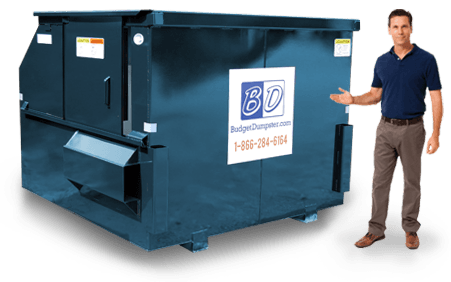 Budget Dumpster accommodates to the needs of your business, no matter how big or small your waste removal situation might be. 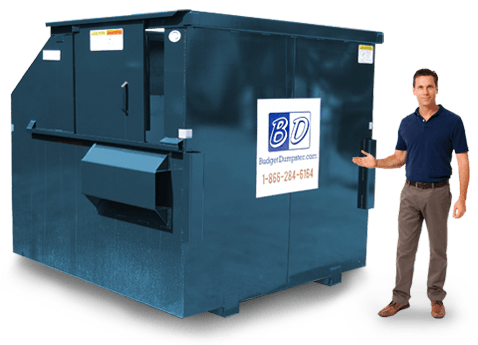 Our dedicated customer service team will help you determine the right size dumpster for your business’s waste needs. 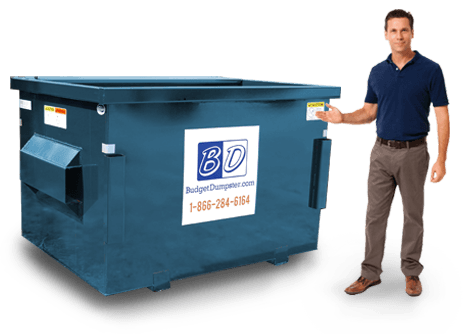 We’re here to assist you in scheduling hassle-free permanent dumpster services. If you have any questions about the rental process, give us a call today. Our team is happy to provide you with the answers you need. Know what to expect on your monthly bill with straightforward, hassle-free pricing. Call us to schedule convenient delivery and pickup. Adjust your contract as needed for additional pickups or different sizes. The 2 yard dumpster is not only the most economical option, but it is also perfect for businesses who produce a small amount of waste or who are short on space. The 4 yard dumpster is most often rented by small retailers or restaurants and offices less than 5,000 square feet. The 6 yard dumpster is the most common and versatile option, making it great for hotels, strip malls and large offices. Last but certainly not least, the 8 yard dumpster is the largest size available. These can be found outside of large stores or shopping centers, warehouses and manufacturing plants . 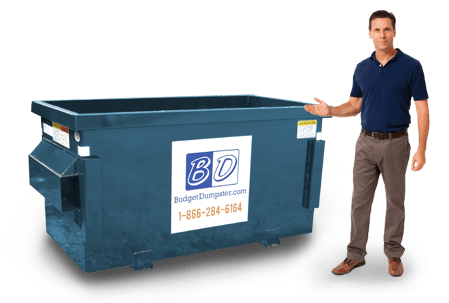 If you’re unsure about which size dumpster is right for you, our dedicated customer service team is here to help!